Except for a small tear in upper margin all else is Fine. A classic Tallis map with detailed vignettes surrounding the map itself. 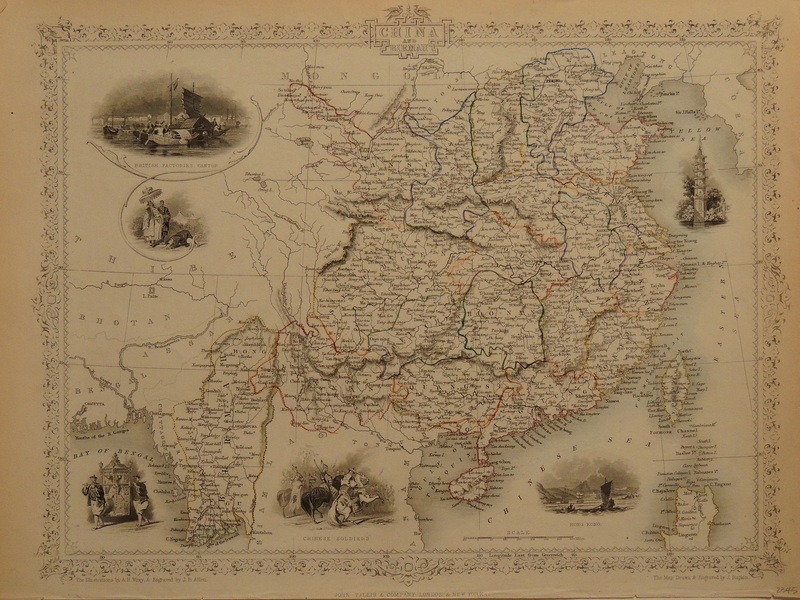 These vignettes include British factories in Canton, a view of British Hong Kong and three others depicting royalty and soldiers.